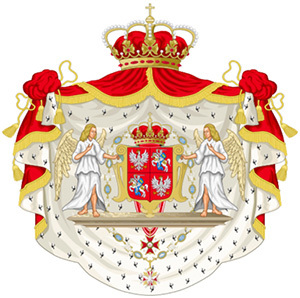 All members are encouraged to submit articles for inclusion in the White Eagle Journal, especially those that relate to the history and culture of the Polish nobility as a class throughout the history of Poland. This appeal is especially addressed to all those members with an academic background in history or who have some expertise in some aspect of Polish history or culture. All articles should be limited to no more than three type-written pages. If you have any pictures or photographs to enhance your article please enclose these as well. All submissions longer then three pages will, if felt appropriate, be included on this page and a brief abstract will be placed in an issue of the Journal alluding to the longer article's availablity on this page. If possible it would facilitage the editing of the Journal if articles could be sent as an email attachment or put onto a cd-rom using Microsoft Word and sent to the webmaster [see email below]. If this is not possible then submissions of typed hard-copy would be acceptable and should be submitted to: Dr. Felix W. v.L-Holewinski, 55 South 6th Street, Hilbert, WI 54129.